Article: 11 Dreamy Master Suites – Shabby Chic Master Bedroom Suite in HAUS’ Broad Ripple Bungalow featured in article, “11 Parental Suites of our Dreams” (interpretation). 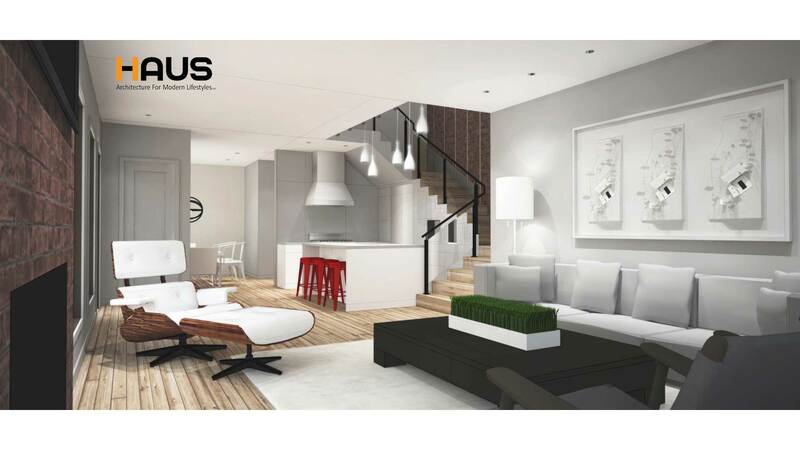 Suites of differing styles from around the world are highlighted – check out the article here. And if parents finally had the right to their own space for cocooning? The decorative element of strength in this Shabby Chic bedroom suite is of course the raw barn door. Sanded and whitened to match the minimalist and romantic style of the room, she separates the sleeping quarters from the spa. The white walls and big mirrors placed behind the bed bring in a light that almost seems poetic. 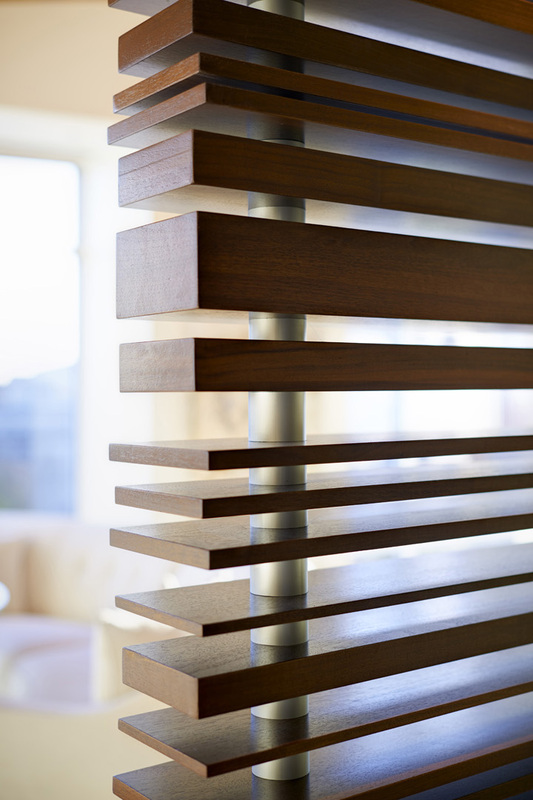 We will particularly salute the ingenious sliding door system that allows for a flexible gain of space. 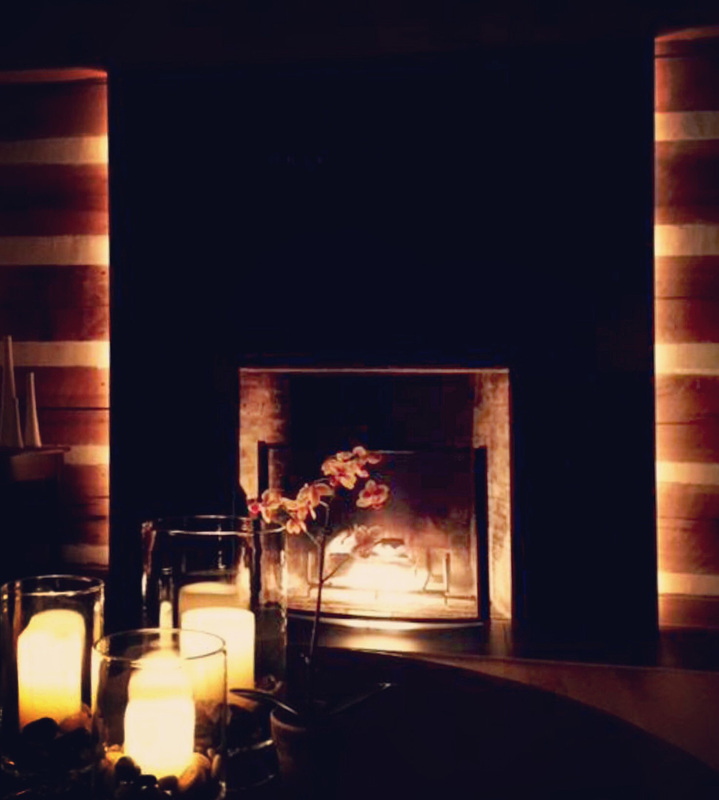 Clients’ text/photo of cozy evening at home in front of their newly remodeled interior – Rustic Modern Steel Fireplace. Stay-tuned for upcoming photography of this newly minted project completed just before the holidays – 2015. 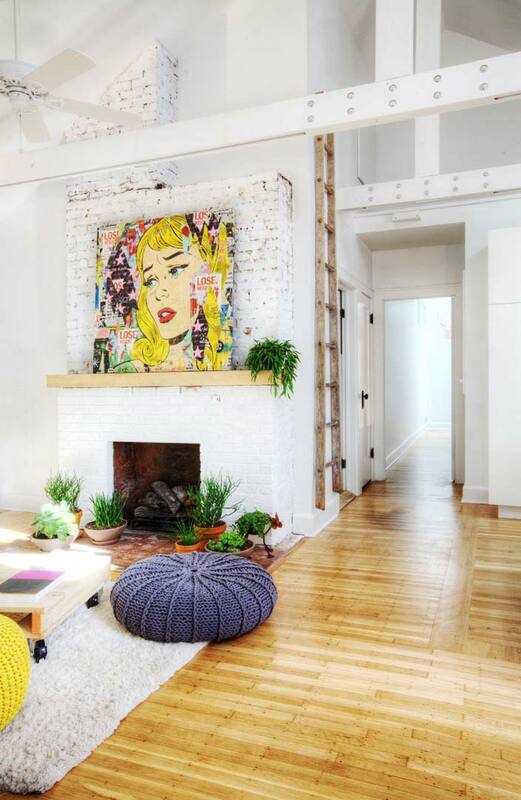 Houzz Story, “10 Innovative Ways to Decorate w Ladders”, features HAUS project. Be sure to let your browser translate the article just in-case you don’t speak Swedish. See this and other photographs of this light-filled, eclectic, shabby-chic, rustic-modern project right HERE. 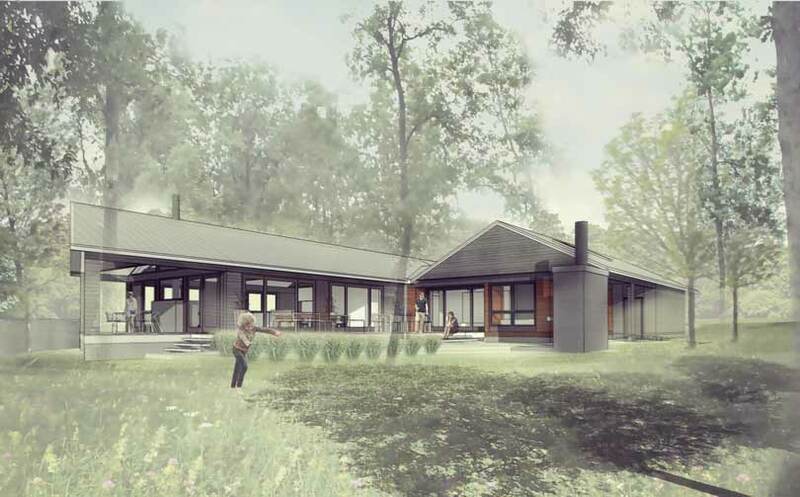 New Modern Lakehouse serves as weekend retreat for Chicagoans. 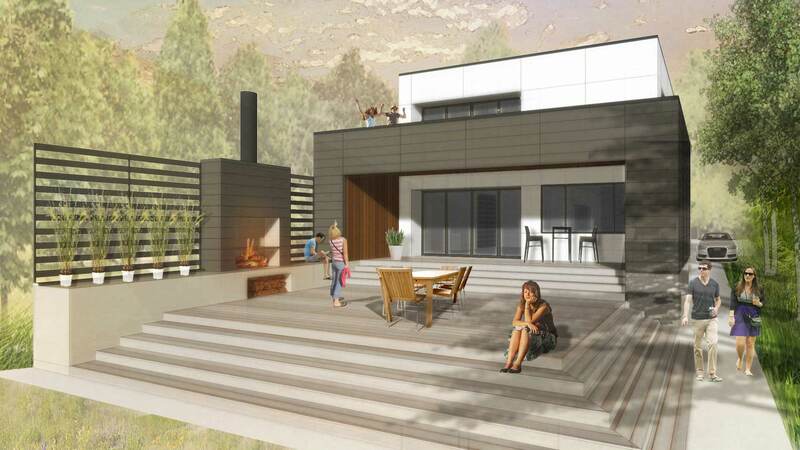 New Modern Lakehouse 2 located on Lake Wawasee sets the bar higher – hey, I just want to jet ski!